The opening World Superbike race at Monza has been cancelled for safety reasons following heavy rain at the Italian circuit. The race initially got underway in dry conditions with Tom Sykes and Sylvan Guintoli leading the way, but was red flagged on lap three when it began raining. 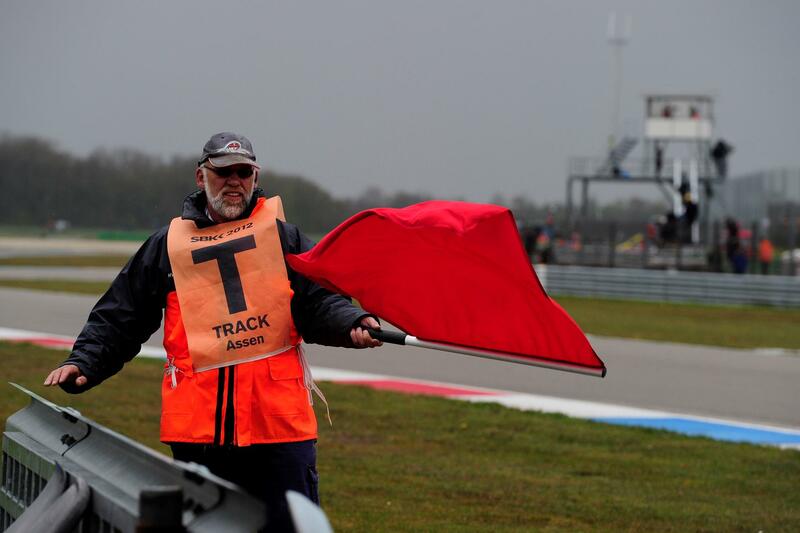 The circuit was then hit by torrential rain and after on-going discussions between the riders and a subsequent track inspection the race was cancelled as it was deemed to wet to start. An additional consideration for the riders and organisers, remains the life of the Pirelli full wet tyres. In Superpole on a part wet, part dry track the full wet tyres were only lasting a single flying lap. While Pirelli maintain that their tyres will last the full race distance if the track is completely wet some teams claim that the tyres will only last between three and four laps.